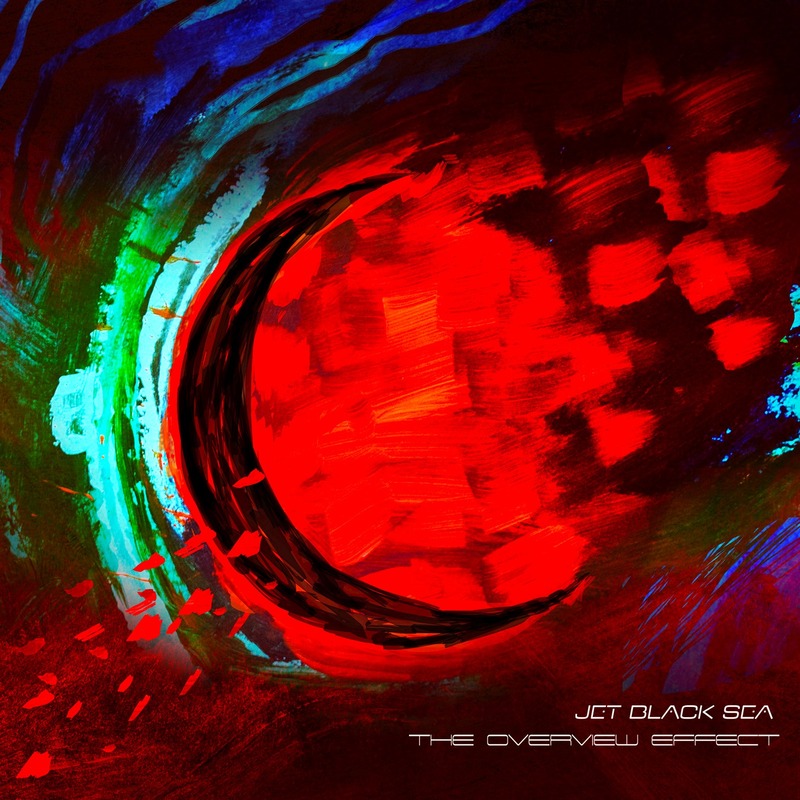 Jet Black Sea: when I got this through my inbox I admit as to being blind to who they were or what to expect, apart from a brief listen to the demos on the band’s Facebook page which was enough to pique my interest. Adrian Jones’ name popped up and then the penny dropped and the fog cleared with a tinge of familiarity, Nine Stones Close. He is bit of a creative tornado and, like many musicians in the progressive field, prolific in guesting on many other albums. ‘Absorption Lines’ is the second with Michel Simons, the first being ‘The Path Of Least Existence’, released in November of 2013. I did some ferreting around after my first listen through of this one after a very oh my response. Normally the first time I play any album it is to purge out what I have listened to before and get a general feel of what I am listening to musically. I can then flood my mind with the music so all I have is what any musician has created. I never make a snap judgement, I just get a first impression. My first impression here was very much this is special and I immediately flipped back to the start. I am going to say that this is actually one piece of consciousness flowing into the recording and divided up into digestible chunks. It is fluid and connected and thus really difficult to do any song by song break down. Musically the journey is rich, varied and textured with more influences than you can shake a stick at, from the ambient trance dance of The Wrong Turn flowing into the middle-eastern doom chording of The Sixth Wheel, Brendan providing the tonal variation drawing the ear to the Minarets and deserts of the Arab Peninsula and North Africa. Suddenly we join the crew of Apollo 13 for Jumping to Conclusions and a short ambient Berlin School piece drifting in the vacuum of space with Absorption Lines, which flows into a classic Floydian jam session drifting of guitar, keyboards and vocals. It continues pretty much in this vein through Cathedral until we have a “brass” song as such, with Adrian O’Shaughnessy on vocals and some very understated but powerful guitar work from Mr Jones. Without missing a beat we find ourselves in Hours Slip Into Days, Tony’s voice is silky soft and sits in the sweet spot at the centre of the melody, carrying you into the void beyond this world. We lapse to the end of 133 hours, the time the world held its breath while we waited for Apollo 13 to return home safely. This is a musical and thematic soundtrack to Houston and the Crew of Apollo 13 conversations. It is electronic music married with understated guitar that is built on pure atmospherics. The album is a sonic experience and as a DJ I want people to hear this and hear what I hear. Playing a track won’t cut it for me as it misses the rest of the release. It is an album not a collection of songs, it flows and grows from one end to the other filling the listener and drawing them through and into it. I am a lover of the discipline of the album, maybe it is my love of classical and electronic long form music but this sits in the same place. Adrian and Michel are not frightened to go outside traditional structure and style and they understand their art and want to see how far it can go. Fans of Cosmograf, Public Service Broadcasting, Autechre, Scanners, Pink Floyd, Tangerine Dream, Robert Fripp and Eno will find succour and pleasure in this album. 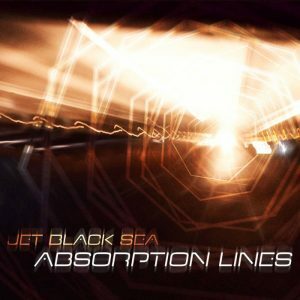 It is individual in its style and is “Jet Black Sea “rather than a version of someone else. I would say this: when you buy this album switch the connections off to the world and spend 45 minutes just letting the music swallow you up, better still, take 90 minutes and go round twice. Leo: Hi Adrian – it’s been a few months since the release of ‘Leaves’ on Bad Elephant Music. What has been the reaction so far in terms of critical reaction and interest from fans? Adrian: It’s been interesting. Critically we have received mostly positive reviews across the board, there seems to be an appreciation of what we are doing musically, as in not standing still. It would have been easy to have followed up ‘One Eye On The Sunrise’ with a similar sounding and style of album, but that’s not very interesting, is it? I don’t write to formula, or sit down to write something in a specific style, I just write what comes naturally to me at the time and ‘Leaves’ is a statement of where my mind was when the songs were written. I know for sure we have lost some fans with this album, and a few have openly said in public and to myself that they really don’t like the change of singer, but that was out of my hands. Obviously those line-up changes have driven some of that – Aio (Adrian O’Shaughnessy) is a very different singer to Marc (Atkinson) and he brings something new to the sound. His range is fantastic, as you can hear on the album. On the flip side I also had messages from people saying that they really love the new singer and album. Overall, I think we lost some fans but maybe gained a few new ones along the way. For me writing and recording is about progression, development of yourself as a writer and artist, exploring new territories. I do think ‘Leaves’ is a natural progression of Nine Stones Close. Leo: What is the origin of the band name? Adrian: It’s named after an ancient stone circle in Derbyshire, England near where I grew up. I visited the place earlier this year with my brother and my son, a kind of pilgrimage. It took us bloody hours to locate it. Google maps is no help at all ! We found it in the middle of a farmers’ field on Harthill moor. It’s a beautiful spot, very peaceful. Leo: Can you describe the creative song writing process for you and the band? For instance, do the music or the lyrics come first? Adrian: I generally start just noodling around on whatever guitar I happen to pick up and then see what flows musically. 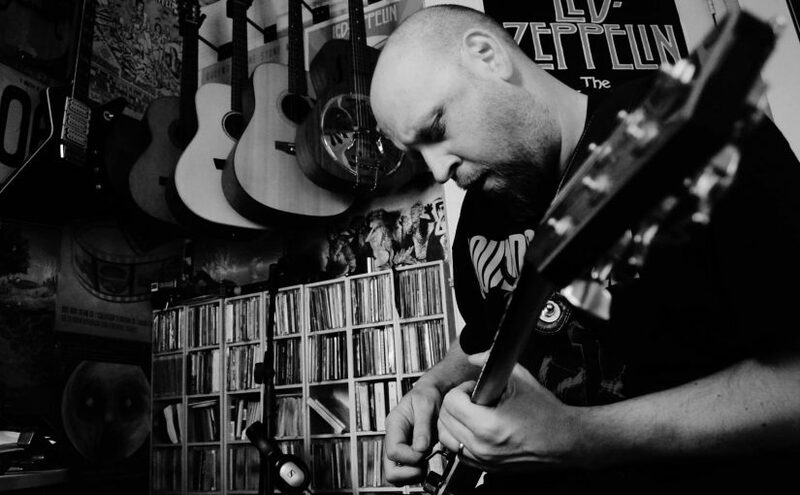 I never really learned to play anyone else’s songs, only the odd riff, phrase etc, so I start just messing around rather than playing anything specific. Usually an idea flows fairly quickly. I never had any guitar or music lessons so I don’t really follow any musical rules, which probably helps me be more creative. 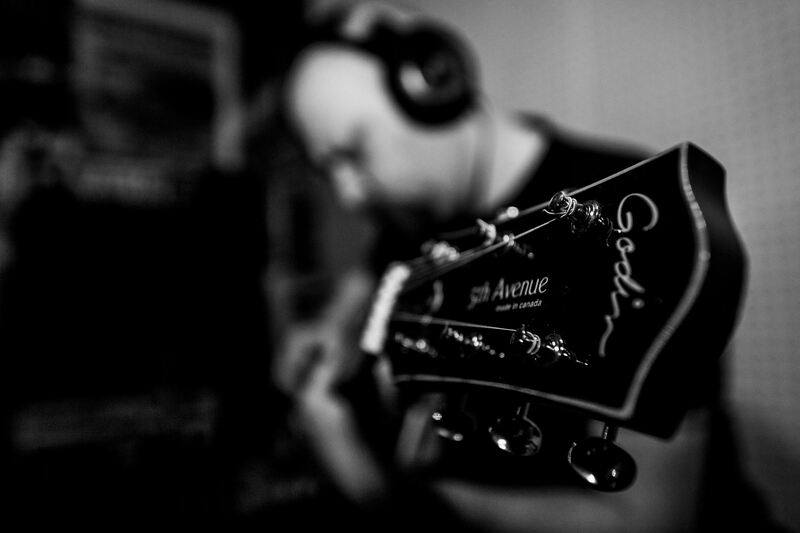 Sometimes it can be a guitar effect that triggers and idea, or a drum loop or beat. 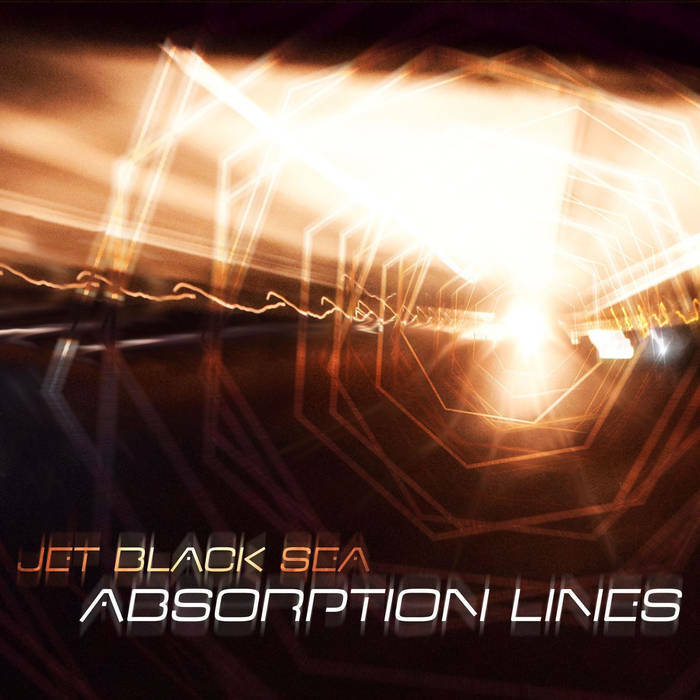 I also bought a GR55 guitar synth unit a couple of years ago for the ‘Jet Black Sea’ project and that helps me create ideas in new ways too. Once I have the idea I can run with it and usually write the whole thing on the fly very quickly, afterwards properly shaping it can take some time. I like to layer guitars with harmonic chords and lines, sometimes quite a lot of them, much to the annoyance of our producer (laughs). The track ‘Spoils’ had about 95 tracks, I think, when we came to mix it. I pretty much always write the lyrics at the end – it’s the hardest part for me. I tend to make notes, write down the odd line that comes into my head and then start to expand on the idea. The music inspires the lyric in a way as well. Recently I have been working more with Christiaan (Bruin) during the writing sessions and it’s been great to be able to bounce ideas back and forth interactively with someone, but more often than not I write alone. Leo: You can certainly hear the multi-layering on ‘Spoils’ – it sounds so intricate, intriguing and wonderful – a real ‘grower’. What do you prefer? 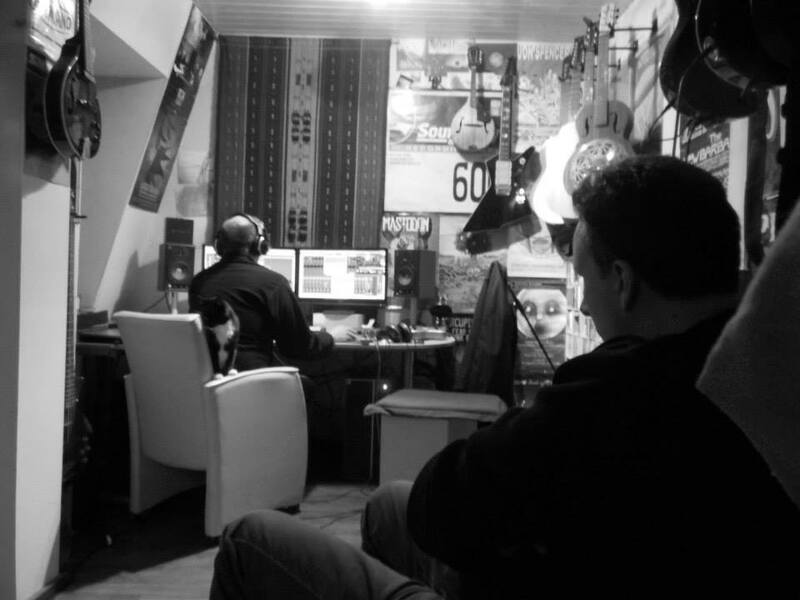 Writing or recording? Adrian: Writing. Definitely. Recording is fun too, but the initial creation of the song, is where the excitement really is for me – that creation of something from nothing. I do think I am lucky in that I seem to be able to write every time I pick up a guitar. The ideas just seem to flow. There is a joke in the band that if they are late arriving for a session in the studio I will have written at least one more song before they arrive (laughs). Actually, thinking back, the song ‘Complicated’ happened exactly like that. I also write the additional guitar parts on the fly and I am terrible at writing things down, so I often have no idea what I played afterwards. I am trying to get better at writing that stuff down as it does become a problem when you have to relearn something to play it again live or in rehearsal. 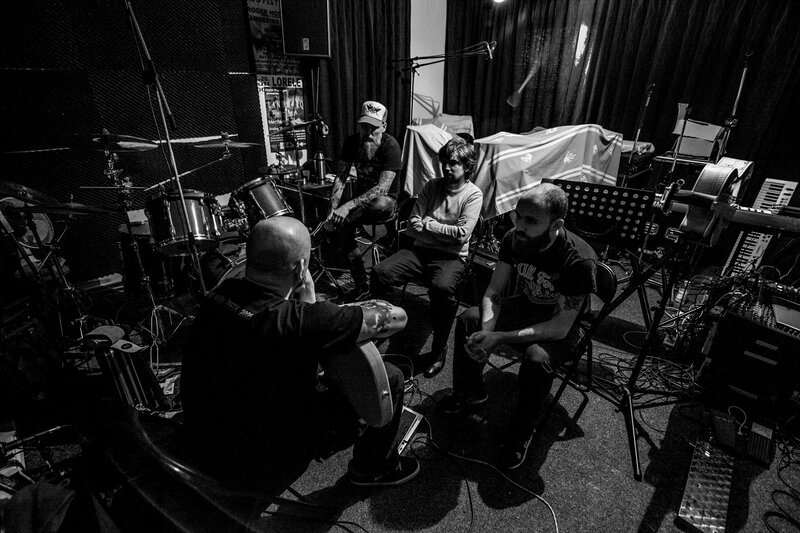 Over 2 hours of material was written for ‘Leaves’, and at one point a double album was discussed. However, what we put out was my vision of a cohesive album. A couple of songs were even dropped very late on after I decided that they didn’t fit, and I really don’t like long albums anyway. 40 odd minutes is still a good length for an album in my opinion, so we overstretched that yet again, probably because we had 4 years making it. My hard drive is full of unused ideas and almost finished recordings which may never see the light of day due to lack of time. Leo: Is there an overarching theme to the album, and why is it called ‘Leaves’? It seems clear you like to maintain some ambiguity in your lyrical ideas but a few clues as to the background of the songs may be interesting! Adrian: It’s not a concept album, but there is definitely a theme. It encompasses many things about modern life – what we are doing to the world we live in and to ourselves … and Lies of all kinds. When I started writing the lyrics I was in quite a dark place, personally, for a number of reasons. I think we live in very dark times right now, but many people are totally oblivious, blinded by the mainstream bought and sold media, and so buried in iPhones, Netflix and other materialistic stuff that the world could be ending and they wouldn’t really notice. It’s a kind of enforced escapism, I guess. In the end I decided to call the album ‘Leaves’ after the lyric I wrote for the title track. It’s a very ambiguous word and covers many of the themes that the album deals with. You are right, I do like ambiguity, and I purposefully write lyrics in that way, I like the listener to be able to derive their own meaning from the songs. I remember in a review of the previous album someone mentioned that the song ‘The Distance’ was about the complete breakdown of a relationship … well, it is and isn’t, but you can certainly read it that way. Leo: I’ve been listening to this fascinating album again repeatedly recently and cannot help feeling how ‘dark’ much of it feels in tone, lyrical content and atmosphere. Are the songs largely based on personal reflections of your personal experiences or feelings, or are they more detached manifestations of your imagination? Adrian: A bit of both, I think. It’s definitely dark. As I mentioned, I was in a pretty dark place when writing much of this album. I am really happy with the overall atmosphere that we created musically. I think it has a very definite “feel”. Some of the lyrics were easier to write than others. ‘Complicated’, for instance, was very easy to write lyrically, it just flowed. It’s theme is the Lie we present to the outside world, and reflect back onto ourselves. If all of our thoughts were visible and openly accessible to everyone else, would we be able to cope with that? Other songs, like ‘Spoils’, went through several lyric re-writes to try to avoid being too obvious, to create a mood without saying “This song is about blah blah blah”. See, I am not going to tell you what it is about even now (laughs). Tone wise, the album is definitely heavier, more heavy guitar driven, than previous albums. That just happens to be how it turned out. There were some songs that we didn’t use which were too close to the feel we had on the ‘One Eye On The Sunrise’ album, and didn’t really fit where I wanted to go with ‘Leaves’. Leo: You really don’t want to give too much away about the lyrics, do you?! Probably just as well – the listener can interpret and feel it in their own personal way – much more intriguing and engaging. On this new album you ambiguously described epic song ‘Goldfish’ as: ‘about a new world sociopath and others might think it is about …. something else …’. Any further clues as to what that actually may mean?!! Adrian: No!! One reviewer described it as being about “media brainwashing”, one said it was about the “short attention span of the internet generation”, another said it was about something completely different. Looks like my ambiguous lyric is working! It was actually written from the perspective of a “new world sociopath” (whatever that is, I just made it up), but it does also have a deeper meaning. 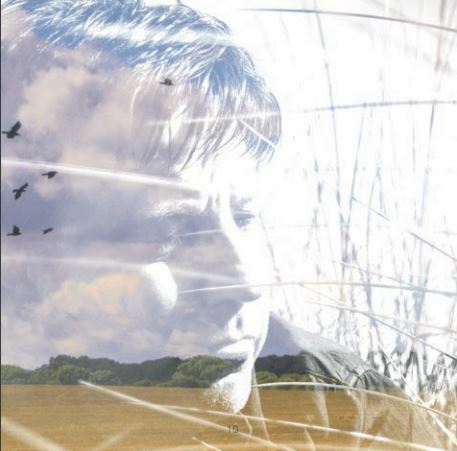 Leo: Antonio Seijas has done some wonderful artwork for Marillion and Gazpacho. How did you connect with him and why did you choose Antonio for the album artwork? How does he come up with his artistic ideas in relation to your music – do you give him visual ideas upon which to work? Adrian: I love working with Antonio, he did an amazing job for ‘One Eye On The Sunrise’ and the ‘Jet Black Sea’ project album. Antonio creates the art work based on the music and the lyrics and puts that into the concept. What he came up with for ‘Leaves’ is a perfect fit for the music and words – it’s stunning. I connected with him initially via Frans Keylard, a good friend, when I was looking for artwork for ‘One Eye On The Sunrise’, obviously I was already aware of his artwork for other bands. I think he has a really unique style and he’s a lovely person too. Leo: That’s interesting, because it was through Frans Keylard that I first heard your music. He played your album ‘Traces’ on his old podcast ‘Rogues Gallery’ on the Dividing Line Broadcasting Network about 6 years ago, and I was immediately VERY interested in Nine Stones Close. ‘Traces’ is another wonderful album. I miss those podcasts from Frans, and he ALWAYS played at least one Marillion song on every show! To bring things up to date, there have been some significant personnel changes in Nine Stones Close for this album. I expect fans will be particularly interested to know why former vocalist Marc Atkinson (of Riversea) is no longer involved, and why Brendan Eyre (also Riversea) is no longer on keyboards? Adrian: Marc decided to leave the band after ‘One Eye On the Sunrise’ for his own personal reasons, there was nothing I could say to change his mind. Everything else is about commitments, timing, etc etc. Everything got a little twisted after ‘One Eye….’ I wanted to push on, get another album out within a year or so and I also started to line up potential live dates. That really didn’t fit with everyone else’s perspective and possible commitment, and it led to a fracture in the whole Nine Stones Close journey. I guess I can be blamed for being over ambitious and I also made a few mistakes there. 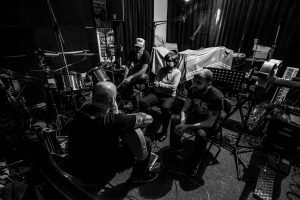 Everyone else involved has other bands or projects as well, and families, jobs, etc etc, so it is difficult to align commitments to getting an album made, never mind a tour. 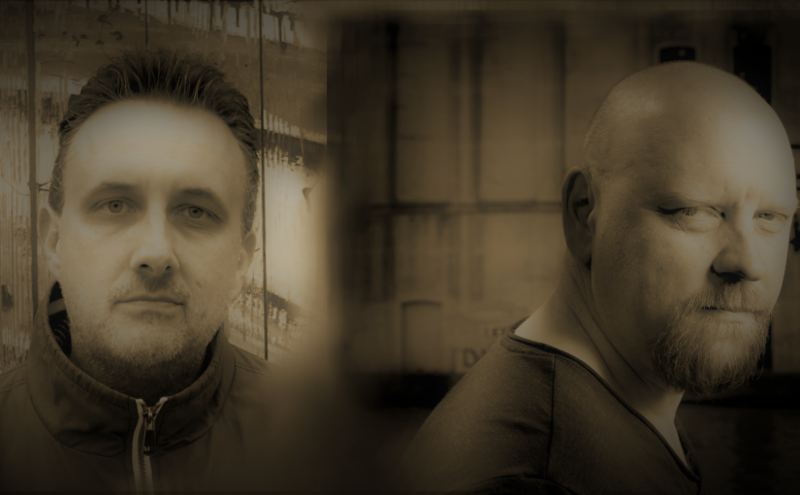 I sincerely hope to create some new music with Brendan Eyre in the near future, time allowing, as I think we have a great mutual musical understanding. 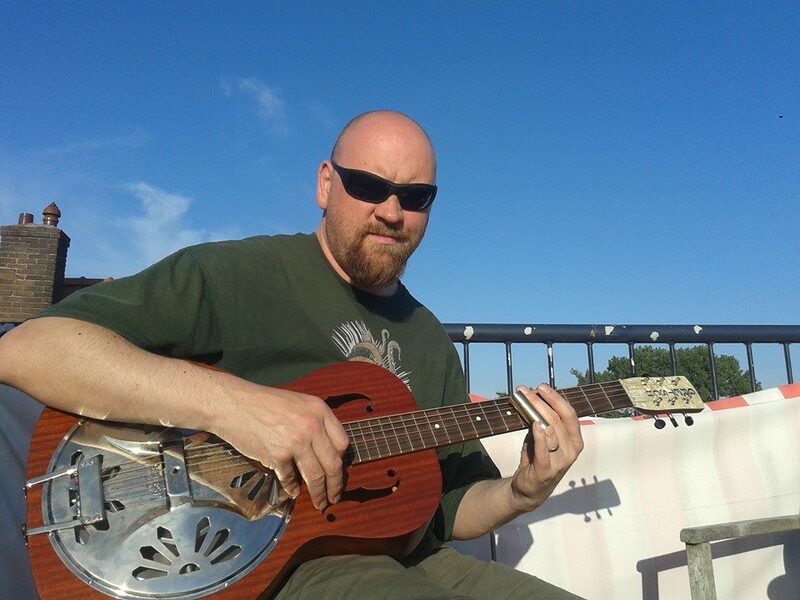 He has been working on some great stuff too with Tony Patterson, and there is another Riversea album in the pipeline. Everyone who worked on ‘Leaves’ will be involved in the next album. Leo: Thanks for your openness. It really can’t be easy trying to pull these things together whilst everyone involved has other projects and ‘real lives’ in which to make a living and survive. I agree with you about Brendan Eyre’s work with Tony Patterson – their album ‘Northlands’ is genuinely outstanding. I am also greatly looking forward to the new Riversea album. 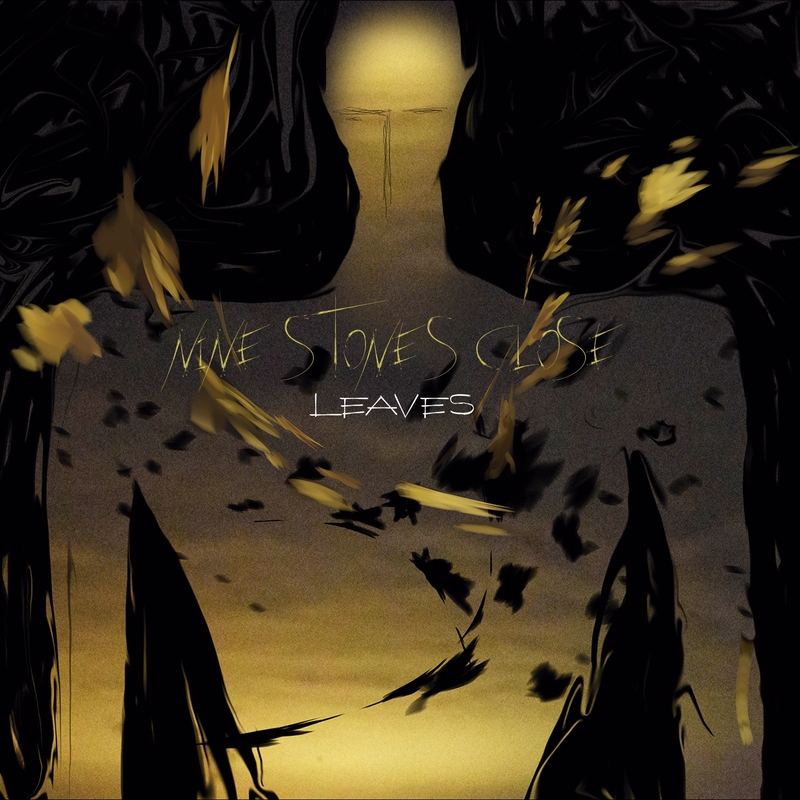 It’s good news that you’re working with the same line up that played on ‘Leaves’ for the new album as I’m fascinated where the Nine Stones Close journey will go next with such a talented band. How did you find new band members and why did you choose them in particular? Adrian: As I mentioned, it was a difficult time after ‘One Eye On The Sunrise’ came out. I was on a bit of a high – I thought we had created a really great album and we had a chance to really take it to the next level, but it simply didn’t work out. Almost immediately after the release Marc left the band and I spent a long time looking for another singer, and that massively delayed the new album. We tried a couple of people, but it didn’t work. I wanted someone with a different voice, who could bring something unique and new to the band, to me there was no point playing safe and finding someone with a similar style to Marc. Aio came on board after being recommended to me and flying in for a session. We connected straight away and his voice brings a new edge to the sound and I think really fits the new songs perfectly. We recorded the vocal for ‘Complicated’ in the very first working session together. Christiaan I met through Pieter (van Hoorn), we had a rehearsal session in Arnhem and hit it off instantly. He is great to have around and is always full of enthusiasm and great ideas for music. 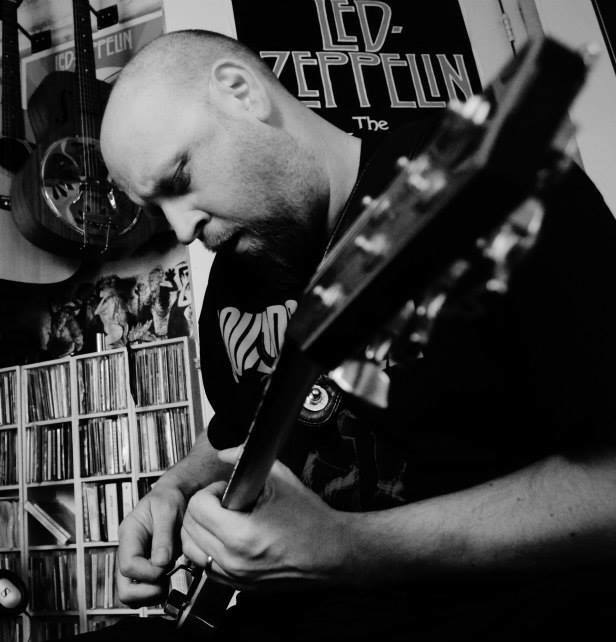 Peter Groen came on board later when we were nearer the final recording stages of the album – he is also great to have around in the band. Leo: The excellent new album ‘Leaves’ seems to be a very clear change in tone / direction after ‘One Eye…’. Was that related to the personnel changes and the different sounds / styles they bring to the band, or was that a clear change from your perspective as band leader? Adrian: Great to hear you are enjoying the album. I never stand still musically. The three previous albums are all very different from each other too. Aio is an element of that new sound but the material was written before he came on board so the change in sound was already progressing. I am always moving forward, musically, and can guarantee the next album will be different again. Of course, the new singer brings a change to the band’s sound, as does any change of singer. It’s so up front and obvious, of course. Christiaan and Peter both bring their own sounds and approach to the music, and that too changes the overall sound of the band. Leo: Are there any plans / aspirations for playing as a live band, either on tour or at Prog festival events like ‘Summers End’? Adrian: We would love to, hopefully someone will invite us to play! The problem is the logistics of where everyone lives, available time, family commitments, work commitments and finances. So far it’s just not worked out for a combination of all those reasons. Hopefully in the future it will work out. We are currently working on a possibility for 2017, I hope that we can make it happen this time. Leo: I really hope Nine Stone Close can make it to the live stage at some point. Many artists ‘self release’ these days. How did your working relationship with David Elliott of Bad Elephant Music develop, leading to the release this album? Adrian: I started out with self-release myself with the ‘Lie Big’ album then ‘St Lo’ and ‘Traces’. We are still best friends with the local post office staff in Leiden! I had known David informally for a while though The Dividing Line Network. I also met with Matt Stevens a few times for a beer and he was always telling me how Bad Elephant were doing a great job for his band, The Fierce and The Dead. The real introduction though was via my mate Brendan Eyre who linked me up with David and Martin (Hutchinson) for a discussion about finding a home for the release of ‘Leaves’. Fortunately, after hearing the album, they were still interested (laughs). It’s been great to work with such an open, realistic, and enthusiastic label, long may it continue. Leo: They are certainly an eclectic and supportive label who seem to genuinely have the interests of the artists and the music at the heart of what they are doing. Whom is your favourite / most influential guitarist/ musician, and what are the main artists that you feel have influenced you as a musician and song writer? Adrian: It’s almost impossible to choose just one. I listen to a LOT of music. I think Jimmy Page has to be up there. Not just as a guitarist, but as a producer, writer, performer, guitar orchestrator, he was a complete package. Those Zeppelin albums still stand up today. Obviously, as a guitarist, I have been influenced by many other great players : David Gilmour, Steve Rothery, Andy Latimer from the progressive world, but equally Jerry Cantrell was a huge influence. Then there are Kim Thayil, Ty Tabor, Alex Lifeson, Tony Iommi, Trevor Rabin, Zappa, Adrian Belew; way too many to mention. In terms of artists, Talk Talk were a phenomenal band in terms of their progression and output, Pink Floyd, obviously, Led Zeppelin, Black Sabbath, Alice In Chains, Soundgarden, King’s X, Kate Bush, …. I could go on for ages. Leo: On ‘Leaves’ you skillfully used violinist, Annelise Rijk, and cello player, Ruben van Kruistrum on the great song ‘Lie’. Are there any other particular artists with whom you would like to collaborate in future, possibly on your next album? Adrian: Yes, they did a fantastic job on ‘Lie’. Christiaan also has to take the credit for the string arrangement on that part of the song. Katy Bell provided beautiful cello on the last album too, and Matt Stevens provided some crazy guitar work. I think there are always other artists I would like to work and collaborate with. I am always open to offers to play on other artists’ material too. I love to do that – it’s a nice challenge which is very different to writing and performing on my own material. 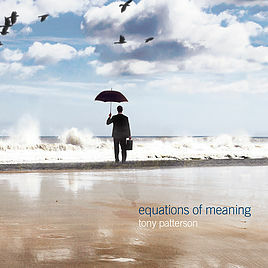 I recently provided some slide and lead guitar for the track “Kindest Eyes” on Tony Patterson’s latest album. That was a pleasure to do and it turned out great, I think. Hopefully there will be more collaborations in the future. Anyone interested should feel free to contact me! Leo: Progressive or ‘Prog’ music fans can be remarkably conservative at times, which does sound contradictory to the concept of progression. How would you describe Nine Stones Close as a band, and what is your view on how some fans may find it difficult dealing with changes in your band’s style and personnel over time? Adrian: I have phrase I came up with recently, “progression has collateral damage, prog doesn’t”. I do agree with you that some ‘Prog’ fans can be very conservative these days. For me ‘Prog’ is very different to ‘Progressive’ in meaning these days. 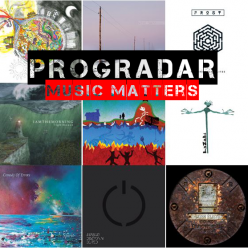 ‘Prog’ is more of a style thing now, you know: “sounds like Genesis, Yes, King Crimson or Pink Floyd, must have widdly widdly bits, long songs and huge amounts of time changes”. If you look at bands that have truly progressed, they have changed, lost fans, gained fans, always moved forward regardless of any fashion or commercial success. It’s fine for fans of our previous albums not to like what we are doing now. It’s perfectly natural. You see that music divides opinion like that. 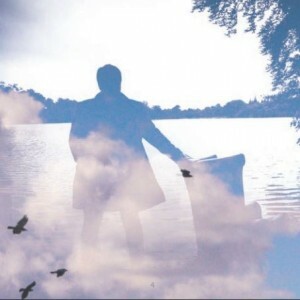 Some people for instance, refuse to listen to any post Peter Gabriel Genesis album, whereas I think they made their best albums after he left. 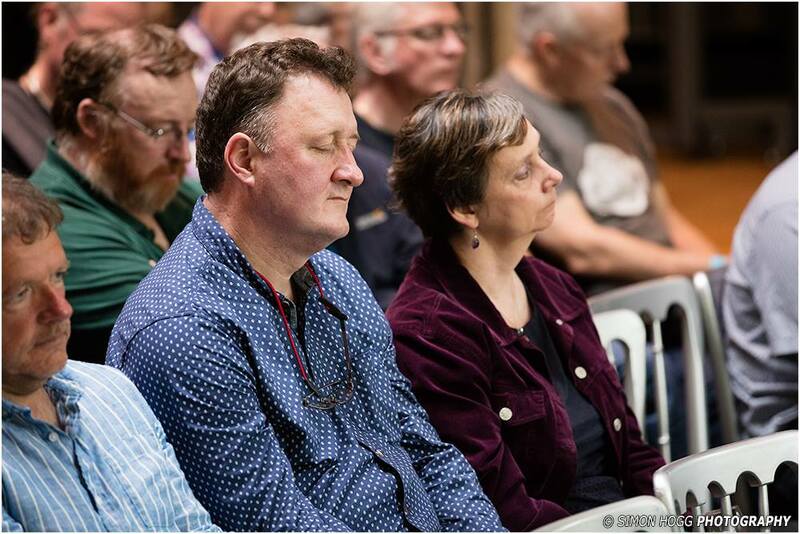 Some people feel the same way with Marillion, for example. Music does polarise opinion. Personally, I want to move forward and not create the same thing over and over again just because some people might like it. There is no money to be made from doing this – it’s purely an artistic outlet, so what is there to lose? I might as well do whatever I want to do. I have no pressure to be an AC/DC type band, effectively churning out the same sounding album year after year. Where is the fun in that? If I am not enjoying making music and run out of ideas and things to say, then I will stop. Nine Stones Close music comes from my heart and soul, I pour everything into it, I hope that some of that comes across to the listener. Leo: A really interesting response – I particularly like the phrase “progression has collateral damage, prog doesn’t” – I may nick that! More seriously, it is very clear that you have poured your heart and soul in to the Nine Stones Close albums. They are not formulaic or repetitive, and certainly have engaged this listener. I know you’ve only recently released ‘Leaves’ but are there any embryonic ideas to the direction of the next Nine Stones Close album, and possible timescales? Adrian: Yes, actually, there is. I had some discussions with our producer about what I want to go for on the next album. It will be different again, especially in terms of overall sound and feel, I want to take it somewhere new again. It will be a challenge to do that, but hopefully what I have in my mind we can somehow get out onto a CD. Working with Paul van Zeeland (producer) is great, because he has such a deep understanding of sound and how to translate that into a recording and mix. I recently started writing and working on arrangement ideas with Christiaan and we have some great ideas on the go already. The plan is try to record the album somewhere in 2017, but that is all dependant the usual work, family, time commitments. It will definitely not take 4 years this time, if it does then it will never see the light of day! I can’t go through that again. Leo: One last silly question. We’ve recently had the Olympics and Paralympics. If there was an Olympics for Music which 3 albums would you give Gold, Silver and Bronze medals and why? Adrian: Oh, that’s a very difficult question for a throwaway last question (laughs). Music is always a very personal thing for the listener as well as the musician trying to convey something. I grew up in a house where there was always new music available. My father used to work as a sales rep for various record labels over the years and there were promo copies of albums and singles coming through the door pretty much on a daily basis as I was growing up in the 70’s and 80’s. I used to play almost everything that came into the house and quickly learned about different styles and genres and also what spoke to me. I have a huge music collection at home, so choosing a top 3 would be impossible. If I had to choose 3 off the top of my head, like now, hmm. This is the reason I picked up a guitar. I went to see a re-showing of the movie shortly before my 16th birthday with some school friends. Despite my love of music I had never really thought about actually playing an instrument myself, and there wasn’t a lot of opportunity back in those days, we were not well off as a family. I remember just being totally blown away watching Zeppelin perform, and immediately after I got home I asked my parents for a guitar for my birthday. They scraped together some money from somewhere and managed to get me a starter classical guitar, not exactly the Les Paul I had in mind, but it was still amazing to have a guitar and it set me on my own musical journey. The version of No Quarter on this is fabulous, Jimmy’s solo is sublime. I know everyone thinks it is not a great representation of how amazing they were live, but I love it. I still remember the day I bought this album. 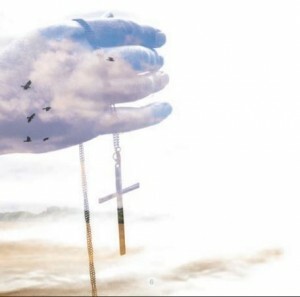 It’s left such a lasting impression on me. I was with a friend shopping for stuff in Bristol and went into one of my favourite record shops. It had just been released, and having heard the earlier stuff I was interested to see where they were going. To say it blew me away is an understatement. I remember getting home and cracking open some beers and putting it on the hifi. About 8 hours later we were still listening on repeat and still drinking beer. The first listen was such a shock, we ended up sat in silence the whole album just taking it in. Jerry Cantrell is a massive influence for me, the way he plays, what he plays, how he writes, hugely underrated in my opinion. Layne had one of the best voices rock has ever known and his combination harmonies with Jerry were just sublime. If you listen to the album I made with my previous band Lie Big – “Severed”, you will hear how big an influence this band had on me. If you only try one track from ‘Dirt’ then listen to ‘Rain When I Die’. What an incredible and inventive song. Frankly there are no weak moments on the whole album, it’s a true classic and it still gets played regularly today. I was always a Talk Talk fan from day one. I remember having the promo of their first single from my dad and thinking the singer was fantastic and that there was more to them than the single. In this case no one really know how much more. I can’t think off-hand of another band who progressed as far as they did over just 5 albums. The Colour Of Spring was an incredible album, but nothing prepared me for this one. I remember first hearing it and just not getting it, I was thinking “Where are the songs? What are they doing?”. Over time it grew and grew with repeated plays until I became totally obsessed with it for a while. The production is amazing and they absolutely captured the mood of those sessions. This is easily in my top albums of all time and certainly in my most played. 28 years later and this is still regularly on the hifi. If you haven’t heard it then you definitely need to. Leo: I don’t know Alice in Chains or ‘Dirt’ so I’ll have to track that one down as you recommend it so highly. I remember seeing that Led Zeppelin film at the cinema and loving it – just one of THE great bands. Love your choice of ‘Spirit of Eden’ and had similar reactions to you when it came out – it’s ageless. Fascinating and varied choices – a real insight into your development and influences. Thank you Adrian for taking the time to do this interview with Progradar – it’s been really interesting for me and I am grateful for your openness and the thought you have given your answers. I hope your current excellent album ‘Leaves’ continues to receive the attention it deserves, and I wish you all the best for the next project. 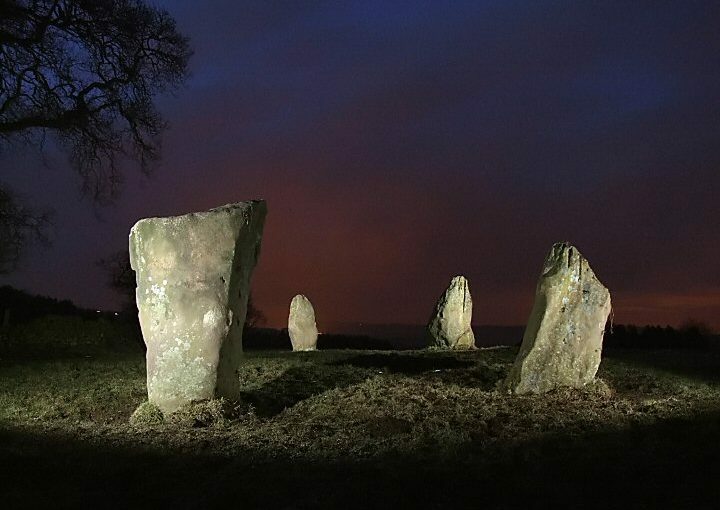 The band Nine Stones Close is named after the remains of an ancient stone circle (see the featured image) situated in the Peak District of Northern England near where Adrian Jones grew up as a child. The origins of the monument’s name and their history are shrouded in mystery. Aptly, Adrian Jones is also the rock upon which Nine Stones Close has been built since 2008, starting as a solo studio project with St.Lo and later developing into a band with the excellent albums ‘Traces’ (2010) and ‘One Eye on the Sunrise’ (2012). ‘Leaves’ is their latest album and demonstrates Jones’ ongoing commitment to excellence and progression in his music, alongside significant changes in the band line-up. It is also true to say that like the stone circle Jones also likes to retain some mystery, leaving his music and lyrics open to interpretation by the listener. Leaves as images or as metaphors are well used devices in poetry and music, possibly symbolizing beauty and growth but also death, change and rebirth – richly coloured Autumnal leaves beautifully carpeting forest floors, giving way to new shoots and leaves in Spring. 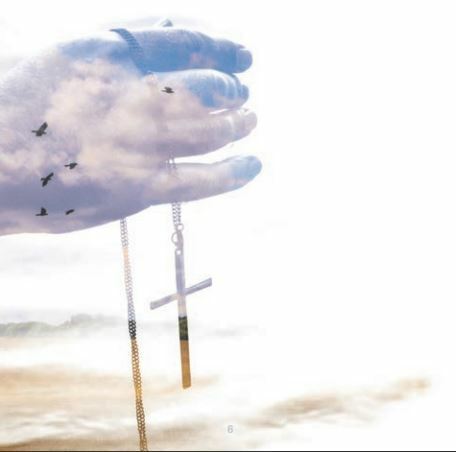 Perhaps such imagery could be applied to Nine Stones Close as they release their new album this spring. 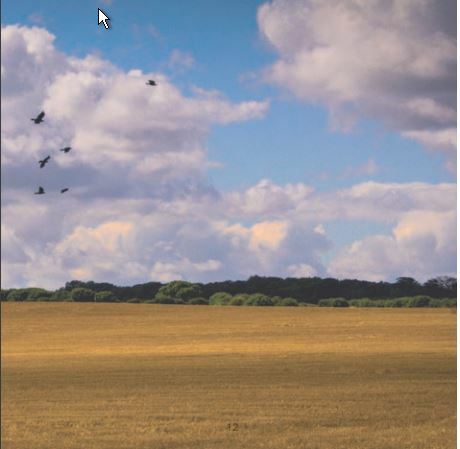 They blossomed previously to great effect on ‘Traces’ and ‘One Eye on the Sunrise’, particularly helped by the remarkable keyboard skills of Brendan Eyre and captivating vocals of Marc Atkinson (both of Riversea, whom have their own album out later this year). Eyre and Atkinson have now left the band amicably to concentrate on their own projects to be replaced by keyboardist Christian Bruin (of Sky Architect) and Adrian ‘Aio’ O’Shaughnessy on vocals. Previous fans of Nine Stones Close may need some time to adjust to the new direction of the band. Jones is clear that he never stands still musically. He has stated : ‘The three previous albums are all very different from each other. The new singer is an element of that new sound…’. Nevertheless, it is fair to say fans of Atkinson’s voice may need to adjust to the different style of Adrian O’Shaughnessy. This reviewer did need some time to put aside his love of Atkinson’s voice and appreciate how Aio’s very different voice really suited the new music being produced by Nine Stones Close. Such an open minded approach is richly rewarded as the musical vistas and darker lyrical landscapes conjured up on this album open up fascinatingly with Aio’s versatile and powerful voice illustrating the different texture and feel of the music perfectly. 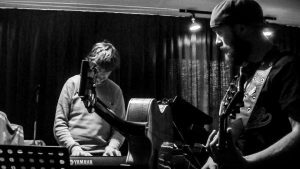 Relatively short song Complicated opens the album with a shimmering keyboard theme giving way to a sinister beat and menacing voice, rising to a throbbing, growling guitar, underpinned by Peter Groen’s dextrous bass. Those unprepared for the change in Nine Stones Close will certainly be saying ‘We’re not in Kansas anymore, Toto!’ Nevertheless, dear listener, stay on board because the ride will get much stranger and darker yet, with a set of characteristically extended songs in which Adrian Jones and band takes you on a psychedelic journey, starting with the very peculiar but enthralling Goldfish. Jones ambiguously describes Goldfish as: ‘hopefully some might think it is about a new world sociopath and others might think it is about …. something else …’. Bruin’s keys float us into this strange odyssey and we hear a much more subtle side of Aio’s vocals as he intones ‘Conscience has died’. Interestingly, Jones bravely holds the musical tension with restraint. Aio plaintively sings ‘Welcome to my Life’ before Jones’ guitar soars to a crescendo before the piece recedes into a bleak, desolate drone. What’s it about? I have some sort of sense of it, but I honestly don’t really know – but it’s intriguing stuff, and I don’t really care that I don’t fully understand it – that’s half the fascination! 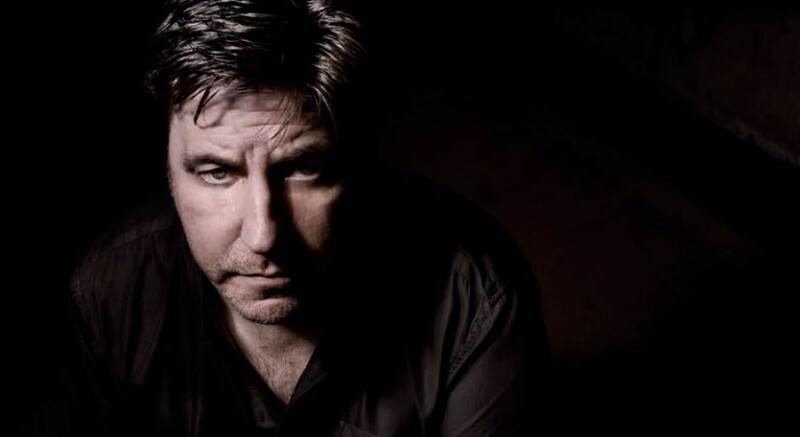 Adrian Jones has said of Lie, the next song on the album, ‘that’s a bit of a beast and my personal favourite’, which is understandable as it is an outstanding piece, opening with swaggering instrumental menace. 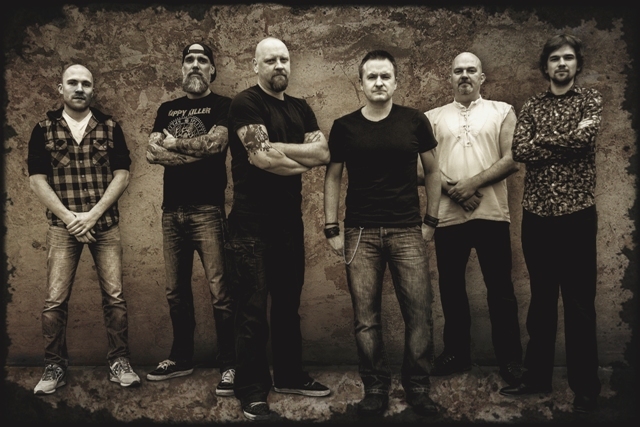 Aio’s versatile vocal swings between sinister but quiet, over a section of chopped chunky riffs reminiscent of Porcupine Tree, to powerful full throated rock howling. Then from left field Adrian Jones throws in a dissonant guitar section, presumably indicating the dislocating and undermining effect of mendacity (Lies), which is one of the underlying themes of the album. The momentum increases as guitars spiral around the central crunching drums and bass, with Bruin interweaving subtle keyboards. This fascinating and unpredictable song develops further as violinist, Annelise Rijk, and cello player, Ruben van Kruistrum, in multiple parts build and build the intensity with Adrian Jones guitars stratospherically swooping around the central theme. For fans who liked the remarkable and epic Frozen Moment on the previous album ‘One Eye on the Sunrise’ will find this familiar but more sinister territory, musically. This was the song which reassured this reviewer that, whilst Nine Stones Close have changed, they have not lost that quality to create rich musical landscapes suffused with a sense of the dramatic and psychedelic. To underline that point Spoils opens with subtle understated menace with Aio practically purring the vocals before the song erupts and then settles in to ‘Kashmir’ like progression as Aio roars in Robert Plant-esque power, although this band are no Zeppelin copyists! Once again, Nine Stones Close take an unexpected turn as this piece drifts away in to a dream like interlude as Aio sings ‘I’m living a Dream’ with acoustic guitar and then subtle electric guitar playing over an atmospheric and eerie keyboard backing. This bewildering but captivating song then erupts again before once again descending into another dream-like fugue – ‘The Dream I’m Living’ floats over the music, and then the whole band really lets loose with a volcanic finale in which Pieter Van Hoorn particularly shines with some explosive drumming. Part dream, part nightmare Spoils is a remarkable song which has grown and grown on this reviewer – repeated listens gradually unpeel the layers of this song, like all the best progressive pieces. Titles track Leaves concludes the album and, once again, Nine Stones Close take a left turn. Having adjusted to the more powerful direction of much of this album the listener is then confronted with with a largely very restrained, subtle and eerie song which seems tailor made for Aio’s versatile voice. Van Hoorn shows that drumming is not all about pounding away as his imaginative percussive touches play around the theme and vocals. Jones conjures unnerving and weird sounds from his guitar to punctuate this unsettling landscape, before introducing some Floyd like sweeping guitar lines with Aio crying ‘Have you ever lived your life, Have you ever really lived your life?’ as the song builds in impressive intensity. However, just when you think Nine Stones are going for the possibly clichéd barnstorming finale they fade into a wistful ending with Bruin’s piano beautifully and elegaically bringing us to the end of this journey. Whilst this is not a concept album Adrian Jones has described ‘Leaves’ as having a theme of ‘what we are doing to the world we live in and to ourselves’. That definitely comes over in the final track of this very fine album. Progressive music fans can be remarkably conservative at times, which does sound contradictory to the concept of progression. Bruce Soord of The Pineapple Thief once said words to the effect that he expects to lose old fans with every album because some find it difficult accepting that he is progressing in his music, but that with every new album he gains new fans who appreciate his new direction. That is inevitable for any band like Nine Stones Close who do not stick to their old formula and want to progress. My advice is stick with these guys because you are never quite sure in which direction their songs or this albums may turn, but it sure is an imaginative and fascinating ride!